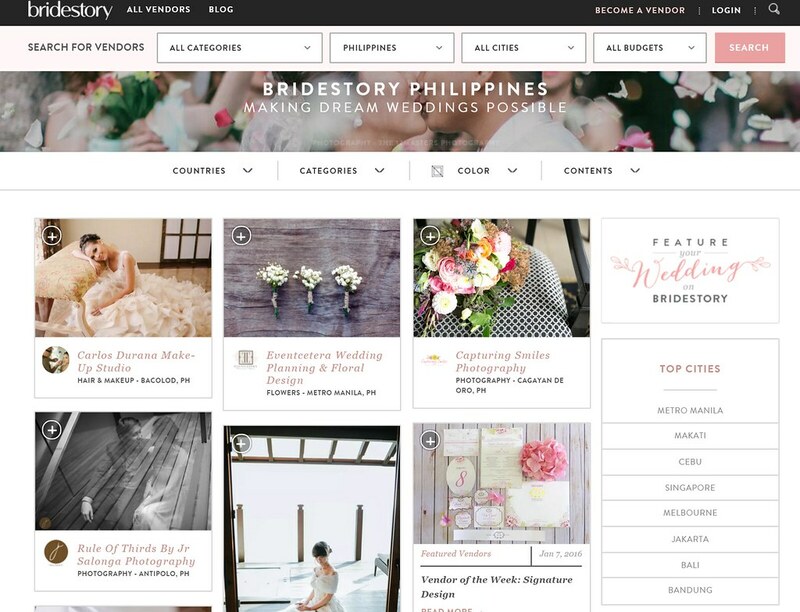 Craft the perfect bride and wedding story via The BrideStory Philippines a one-stop wedding online site that provides wedding vendors, suppliers and ideas in Metro Manila. I might have mentioned it in my previous blogs but I'll repeat myself again - when I was a kid, I never dreamt of how I wanted my wedding to be. Unlike most of the ladies, they perfectly envisioned how their dress would be as white as a dove, how the groom would wait in the altar, how the seating arrangements would be and how blossoming the color of the motif and flowers in the venue. Every single detail of a perfect wedding. While these thoughts were processing inside every little girl's mind, I was dreaming of going places, partying and living a rockstar life. Now that I am planning my own event - not a wedding. I find it really hard to collect ideas, find the best suppliers and put together a perfect event. My friend is getting married soon and I am one of the bridesmaids. 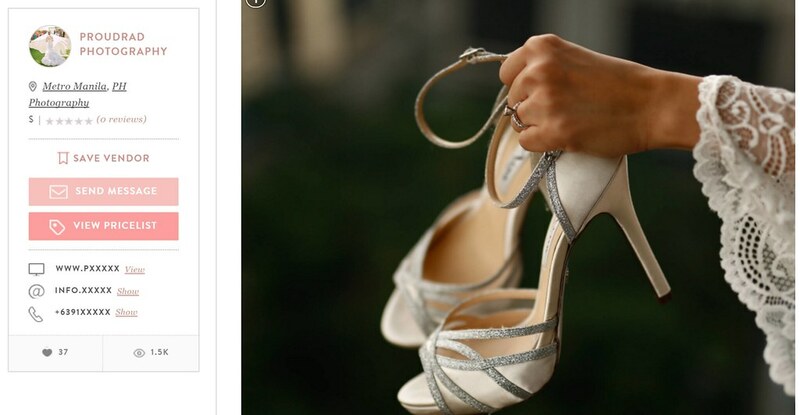 It is a big help to discover a website that provides wedding ideas and connects wedding suppliers to help couples curate their perfect wedding. Bridestory which was established in 2014, is a leading online wedding marketplace which has a strong social media presence among Indonesian and international audiences. 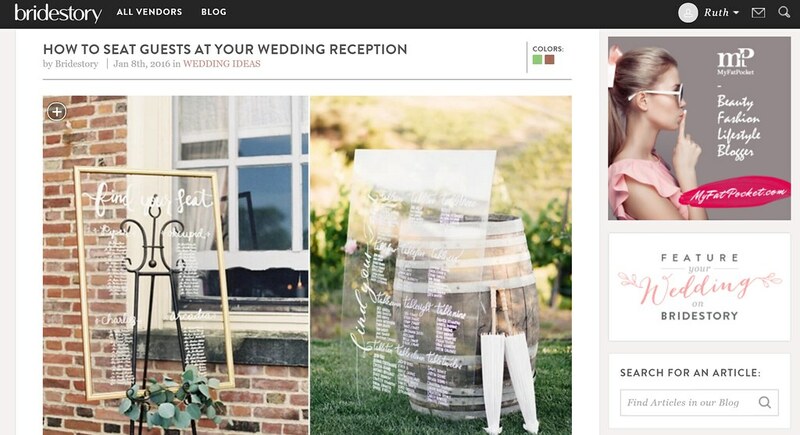 The Bridestory.ph has a refreshing take on wedding planning. The site hosts over 15,000 vendors in 39 countries which allows couples in long distance relationship or those who plan to host their wedding in another country plan their weddings. I love that you can easily browse and search for different services based on location and budget. I always love to document memories and take photos of events so I checked the Photography Services. It is good that Bridestory allows vendors to upload their portfolio in the website. Couples and planners can check not just suppliers but also wedding ideas and styles. I found joy in browsing different sections of the site. It kind of makes me excited about my own event (even if it is not about my wedding) and it makes me even more ecstatic to plan my friend's wedding! Here's a bonus for you dear readers, Bridestory.com.ph has a Blog section where you can read helpful articles for planning your dream, perfect wedding. Couples can even submit their wedding story and pictures to be featured in Bridestory's social media accounts (followed by over 2 million global netizens!). Here I am, browsing and browsing more. Dreaming of perfect events and happily ever after. Visit www.bridestory.com.ph for wedding inspirations.